Acterra has announced that Alcatraz Cruises has advanced to the Finalist Stage in the 2017 Acterra Business Environmental Awards. 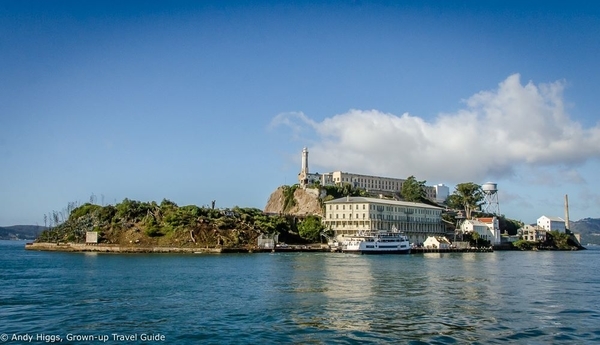 Alcatraz Cruises has been selected from a highly competitive field of applicants in the Environmental Project category for its Hornblower Hybrid Fleet. Alcatraz Cruises operates under a “Respect Our Planet” mission and implements environmental strategies through action taken to protect and conserve natural resources and ecosystems; prevent pollution, conserve water and energy, reduce waste; educate guests and employees on environmental stewardship; seek opportunities to innovate with stakeholders for sustainability; and partner with vendors with green procurement standards. In 2009, Alcatraz Cruises launched its Hornblower Hybrid Fleet, which was the first hybrid ferry fleet in North America and one of the first in the world. The Hybrid Fleet uses power generated by ten‐foot‐tall wind turbines and photovoltaic solar arrays covering the awning on the top decks. “The maritime industry has not made significant leaps in propulsion technology since the early 1900’s and since 2008 we have been leading and inspiring a wave of advancement that will persevere until this industry can function in harmony with our environment.” – Terry MacRae, CEO, Hornblower Yachts, Inc.
Awardees will be announced on March 20th and honored at the Acterra Business Environmental Awards Ceremony & Reception on Wednesday, May 24th at Intuit Corporation in Mountain View. For more information, please visit www.acterra.org/bea. Acterra (www.acterra.org) is a San Francisco Bay Area 501(c)(3) nonprofit based in Palo Alto that brings people together to create local solutions for a healthy planet.